Multilayer registration are basically systems which are used for creating a registration between different layers of same PCB. These systems are normally vision based. Vaccum Lamination is basically to laminate together the different layers of PCB using prepared material under high temperature and vaccum conditions. 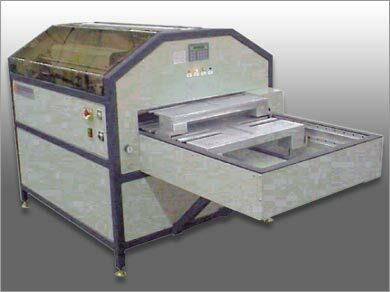 A good registration and vaccum lamination system ensures a high yield for PCB manufacturing plant and high reliability of PCB's being manufactured. The IPE-V is an affordable post etch punch built to the same specifications as punches two to three times their price. 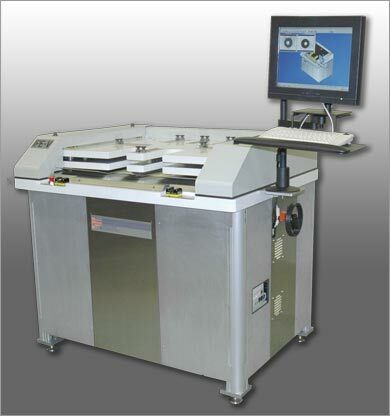 This compact machine is perfect for lower volume pcb manufacturers that need the tight tolerances but not the through put of our faster more expensive models. The IPE incorporates a small die set into the machine so the punches remain in register and with minimal wear, a problem exhibited on competitors lower cost units. Multilayer Registration Doesn’t Have to Be Like Trying to Hit a Moving Target! The Thermal Bonding System registers inner layers for lamination by bonding the layers to each other with multiple spots of heat. By applying heat to the area the pre-preg kicks over and bonds the material in the selected areas holding the layers in registration to each other.